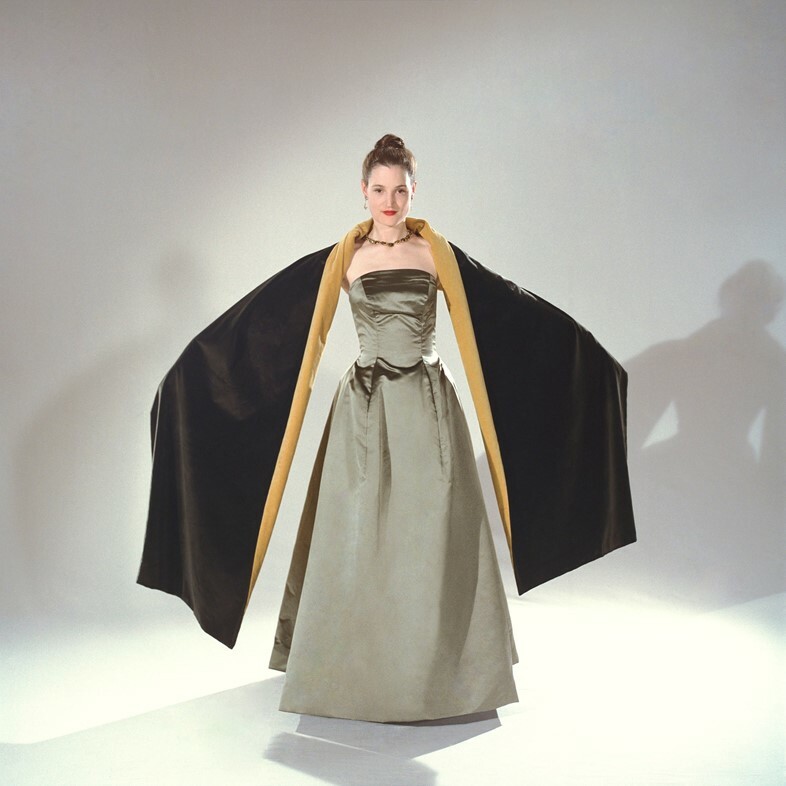 Sophie de Rakoff, a costume designer and longtime friend of Thomas Anderson, was looking for a photographer to follow the film’s costume department. 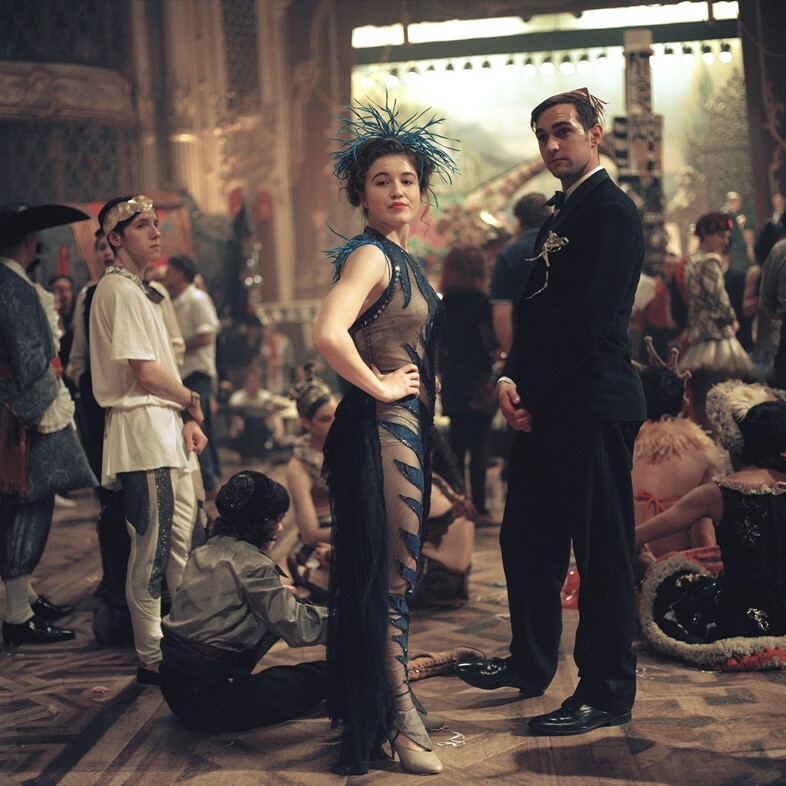 Award-winning costume designer Mark Bridges had designed the costumes for the film, which tells the story of the relationship between couturier Reynolds Woodcock (Day-Lewis) and his muse Alma (Vicky Krieps), and Anderson had given permission for an accompanying photographic project. Hynd didn’t hear anything more until the next February when she received an email from De Rakoff insisting she hotfoot it up to the Cotswolds where they were filming. 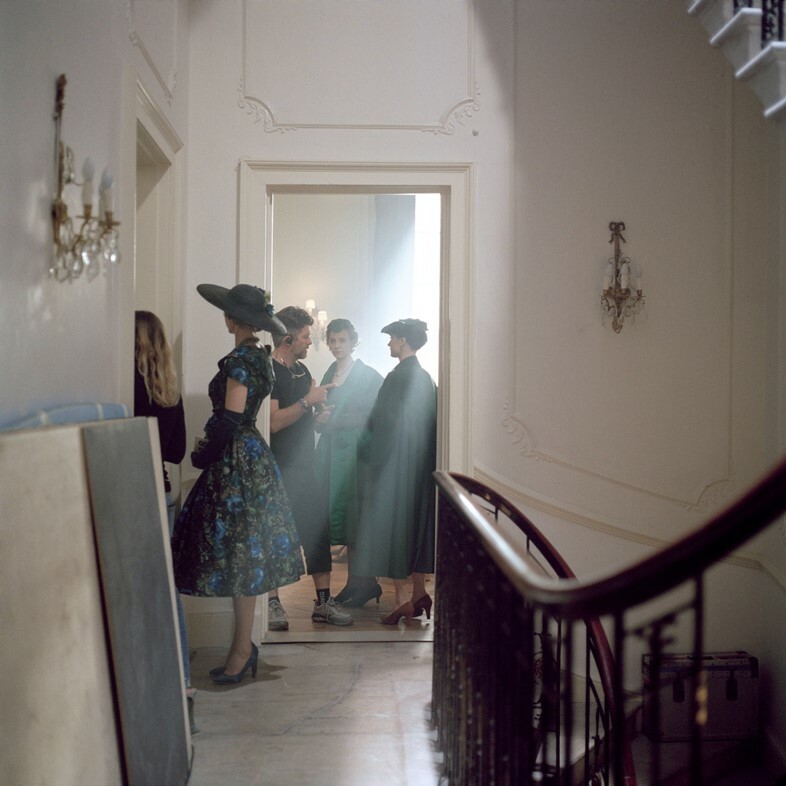 A day trip to Owlpen Manor, the location for Woodcock’s countryside retreat and atelier, turned into 17 days of taking photographs during the three-month filming schedule. The bulk of location work was in London, in a “beautiful, grand townhouse” in Fitzroy Square and lavish Goldsmiths’ Hall, but Hynd’s first experience of Anderson’s magical world during that hasty visit to Owlpen Manor made a lasting impression. The Women of Woodcock is available for pre-order, published by August Editions. 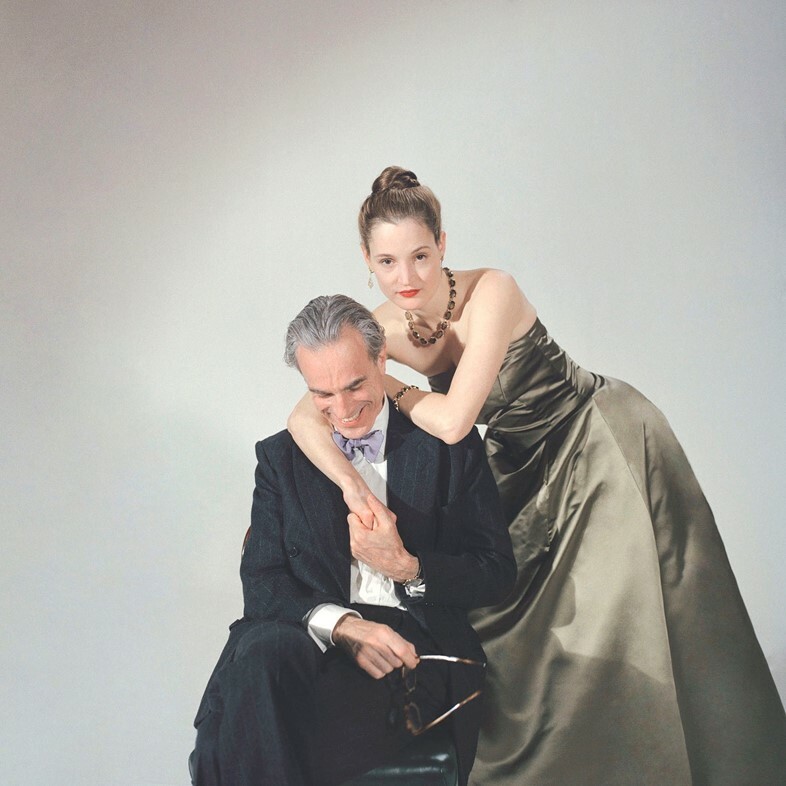 Phantom Thread is in cinemas from February 2.